Mr. Kozyra is a graduate of the University of Chicago (B.A. with Honors in The College and in American History 1975) and Rutgers Law School - Newark (J.D. 1978). He is admitted to the bars in New Jersey and New York, the Second, Third and Ninth Circuit Courts of Appeal and the United States Supreme Court and has handled federal and state litigation at both the trial and appellate levels. Mr. Kozyra has been responsible for litigation in the areas of contract, commercial, corporation and partnership law, land use law, criminal defense, professional licensing (legal, medical, pharmaceutical and others), attorney ethics, family law (divorce, custody and adoption, domestic violence, premarital agreements), insurance, environmental protection, malpractice (legal, accounting and medical), real estate, condominium law, constitutional law, employment and torts. Mr. Kozyra has also served as a privately retained mediator and as an expert witness in legal malpractice and other cases, as well as a legal consultant and strategist on cases in a wide variety of practice areas. Mr. Kozyra is named as a 2019 "Super Lawyer" in the Super Lawyers Magazine. ** Mr. Kozyra was the recipient of the 2018 Essex County Bar Association Professional Lawyer of the Year Award, cited for his exemplary conduct, competence, diligence, demeanor, and being a positive example for others. Mr. Kozyra was a recipient of the New Jersey State Bar Association's Service to the Bar Award and the Essex County Bar Association's General Practice Achievement Award. 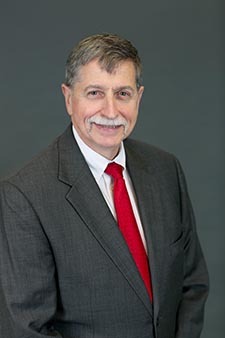 Mr. Kozyra is a member of the American Bar Association, the New Jersey State Bar Association, and the Essex County Bar Association (Chairman of the Criminal Law Section, 1988-1989). Mr. Kozyra is Attorney for the Township of Nutley Planning Board, a Mediator for the New Jersey State Chancery and Law Divisions of the Superior Court, Discovery Master, Statutory Receiver and Special Fiscal Agent for the New Jersey State Superior Court Chancery Division, Federal Arbitrator, United States District Court of New Jersey, Federal Mediator, United States District Court of New Jersey, Panelist in the Essex County Family and Chancery Early Settlement Programs, Essex County Contract Arbitrator and an Essex County Condemnation Commissioner. He has been an invited speaker and panelist on a wide variety of legal topics before various professional and lay organizations. Mr. Kozyra was the recipient of the 2018 Elks Citizen of the Year Award. He is a trustee of the Board of Trustees of the Legal Services Corporation of New Jersey and former Chairman of the St. Clare Church Finance Committee (2007-2013), President of the Filomena Coppola Memorial Scholarship Fund, Inc., former member of the Township of Nutley Planning Board and former Chancellor of the Nutley Historical Society. He is a contributor to Forensic Accounting in Matrimonial Divorce, (Co-Author, Litigating and Proving Child Support in High Asset or High Income Cases: What to Do When a Heavy Hitter is at the Plate), R.T. Edwards, Inc. (2005) and a Lecturer, What Corporate Lawyers Need to Know About Reading Financial Statements – Understanding the Most Important Parts of Income Statements, Balance Sheets and Cash Flow Statements That Impact Corporate Lawyers & Their Clients (ExecSense Corporate Law Webinars) (2009). Mr. Kozyra is AV Peer Rated by Martindale-Hubbell. REPORTED CASES: Pierson v. United States Internal Revenue Service, 2018 WL 2422016; Schubert v. Coster, 2017 WL 1228856 (N.J. Super. App. Div. 2017); Goodman v. Merlino, 2014 WL 10537362 (N.J. Super. App. Div. 2015); O'Shea v. Accord Enterprises, LLC, 2014 WL 463316 (N.J. Super. App. Div. 2013); State v. Assets and Accounts in Name of Sussman Drugs, 2010 WL 3184997 (N.J. Super. App. Div. 2010); Dhinsa v. Herrera, 173 Fed.Appx. 630, 2006 WL 897654 (9th Cir. Cal. 2009); Corin-Bonder v. Bonder, 2009 WL 1617656 (N.J. Super. App. Div. 2009); State v. DiGabriele, 2006 WL 3511421 (N.J. Super. App. Div. 2006); In the Matter of the Suspension or Revocation of the License of Paul J. Caragine, Jr., M.D., 2001 WL 34595744 (N.J. Adm. 2001); Goldman v. Estate of Goldman, 97 F.Supp.2d 370 (S.D.N.Y. 2000); Croucher v. Worldwide Flight Services, Inc., 111 F.Supp.2d 501 (D.N.J. 2000); In re Caragine, 63 Fed. R. 51592 (1999); Goldman v. Walder, Sondak & Brogan, P.A., 1998 WL 213789 (S.D.N.Y. 1998); Walder, Sondak, Berkeley & Brogan v. Lipari, 300 N.J. Super. 67 (App. Div. 1997); Cooper Sportswear v. Hartford Insurance Co., 818 F. Supp. 721 (D.N.J. 1993); Kozyra v. Allen, 973 F2d 1110 (3d Cir. 1992); Ritter v. Georgia Gulf Corp., 755 F. Supp. 637 (D.N.J. 1991); Brown v. Roth, 729 F. Supp. 391 (D.N.J. 1990); In re Case, 684 F. Supp. 109 (D.N.J. 1988); Tuscan v. Division of Taxation, 4 N. J. Tax 92 (1982); State v. Peterson, 181 N.J. Super. 261 (App. Div. 1982); In re Toth, 175 N.J. Super. 254 (App. Div. 1980); In re Kaufman, 81 N.J. 300 (1979).